In extremely good condition, these bowls were an amazing find. 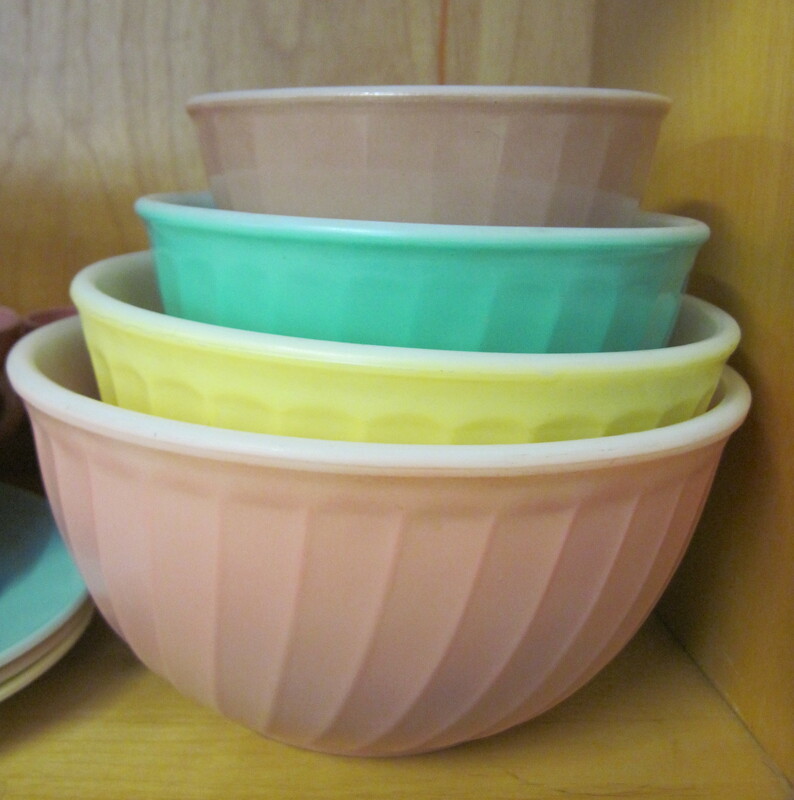 They were made by Anchor Hocking/Fire King in the 1950’s. They are for sale in my booth at the Almonte Antiques Market, 26 Mill Street, Almonte ON. Just 30 minutes west of the city of Ottawa. The price is $ 75 for the set. Please Note: This set is now SOLD! !